Wedding is one of the most important days in a human's life. During wedding preparations brides worried the most of all. Day of wedding preparations is very important for brides. They are looking for a wedding dress model, materials and embroidery for a bride's dress for months, at least three times go to try on a wedding dress, they choose a wedding veil and bridal headpieces for days. 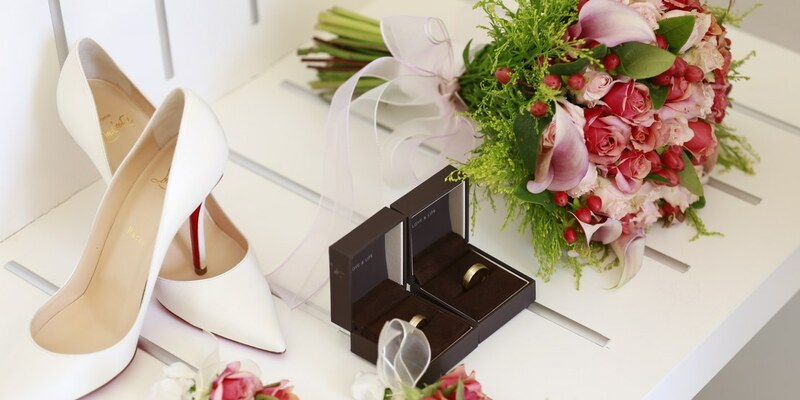 After choosing a wedding dress and a wedding bouquet, the turn comes to the choice of wedding shoes. Wedding shoes should match the color of the wedding dress, should be comfortable and should sit tightly on the foot, all these details are very tiring for brides, but are an incredibly enjoyable search. Wedding garter is one of the most important accessories for the bride. Wedding garter, selected with great care, should match the color of the wedding dress and wedding lace, which is also very important. A very important detail at the wedding is also a ring pillow on which wedding rings are placed. The color of ring pillow should be the same color as the bride's dress. This detail is very important for every bride. Last, but also very important detail is the bridal bouquet. Bridal bouquet selected taking into account the model and color of the wedding dress. The bridal bouquet is made up of white flowers, pink flowers, multi colored hydrangeas, white and pink orchids, white camomiles and is decorated with gypsophila, satin ribbon and tulle. The search and selection of all these bridal accessories are very tiring for each bride, but are filled with unforgettable wedding moments.